get some sleep, bitcoin lover! Trading BTC and LTC can be very addicting, but real life can get in the way sometimes. Waiting for that big crash to buy back in? Set an alert and get a voice phone call when it is time to buy. Waiting to sell at $1000? Setup and alert on your favorite exchange and get notification when it happens. Bottom line, CryptoPush helps you make ! 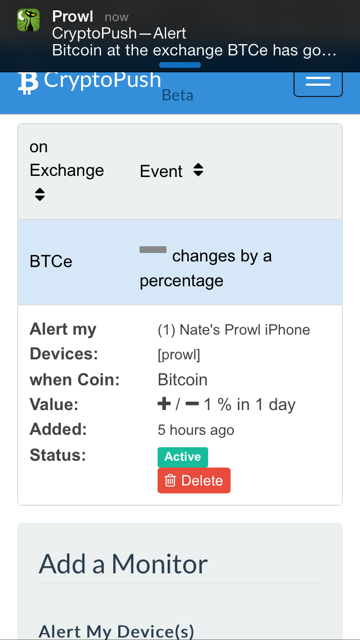 You can use a Prowl client, SMS text, or even a voice phone call to alert you when an exchange drops by 20% for example so that you can place buy orders. Alerts that you care about! All kind of things are monitorable. Track percentage changes as well as individual price points and all time highs. 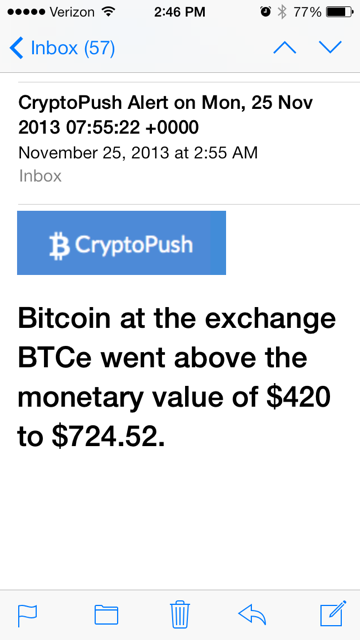 Waiting to cash out bitcoins at a certain price? Have CryptoPush monitor the exchange and call you when it is time to cash out! 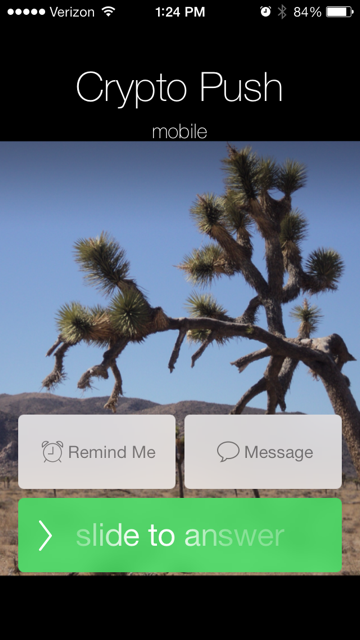 Email message, Prowl to mobile / computer device, SMS text, Voice Phone call, oh my! 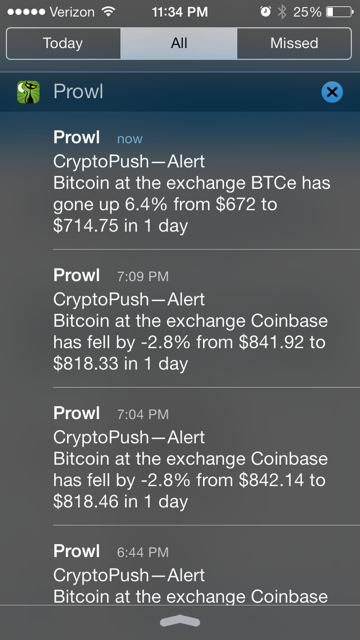 I use a lot of trading systems and exchanges, CryptoPush allows me to receive only the alerts that I care about. I can finally sleep at night knowing that my phone will ring if something big happens.